The sun is out today in London, and I have a very special guest blog from Leah Hadley, who is talking Spring fashion! Spring is just around the corner, and some really beautiful and wearable trends graced the runways for 2016. Since it’s never a bad idea to get a head start on planning your wardrobe for warmer weather, we’ve gathered some great pieces honouring those recent runway trends that we think you’ll enjoy. From lace to fringe, to floral, and more, we hope you’ll fall in love with the looks that are in store for the exciting season ahead. Ladylike details are popping up left and right, and lace is at the top of the list. Whether it’s in the small facets, or all encompassing, Harper’s Bazaar believes that incorporating some lace (modestly for the everyday looks) will keep your outfits on trend without looking too risqué or over the top. The above beautiful white Cece 2 shorts from Trina Turk are an excellent example of how to wear lace while keeping it classy. Floral prints are all the rage this year and that can be a little intimidating to some. Whether you feel it’s a tad too girly or it reminds you too much of Grandma’s curtains, we know just how to strike the right balance. Incorporate some flower power through other items, like lightweight scarves, shorts, shoes, handbags, and jewellery, rather than cover yourself from head to toe. 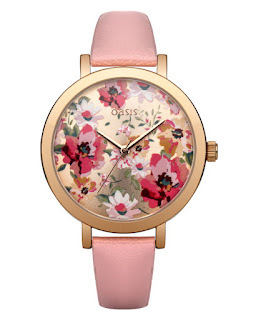 The pink floral print watch from Oasis captures the trend beautifully with its feminine and functional features. Fringe is in this year and is showing up tastefully on our clothes, shoes, and accessories. The key to wearing this detail in a dressy setting is highly dependent upon the materials. Silks and satins look classy with a bit of flowing fringe cascading from the hemline. And when it comes to casual looks, think back to the bohemian trend that occurred not too long ago. 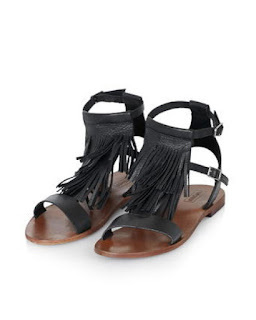 Elle recommends the fringe trend, and these black Francisco sandals from Topshop would be an excellent addition to any casual spring wardrobe. Again, hyper femininity is in for spring, so it’s no wonder that pink pieces have made the fashion forecast. From Pantone’s Rose Quartz, one of two colours they chose for this year, to bolder pinks like fuchsia, there’s a shade, tone, or tint for every woman. 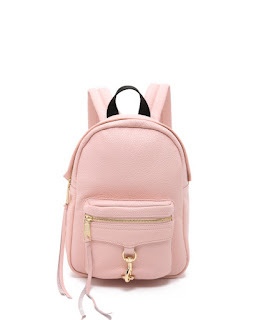 Whether you love to wear pink proudly, or you’d rather incorporate it subtly, the mini MAB backpack from Rebecca Minkoff would work well in both cases. Lightweight denim also made the trend list for spring, and we’re so glad. This durable material acts as an excellent neutral that’s perfect for pairing with pops of colour, or keeping low-key with other basics like black, brown, and white. 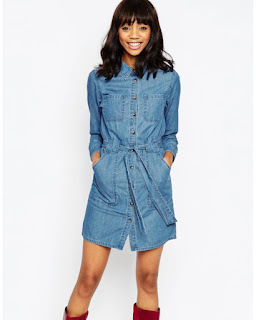 Lyst really loves the denim belted shirt dress seen above from ASOS. This is the perfect wardrobe piece for those days when you want to pull a great outfit together without needing to spend a lot of time. Planning for warmer weather always makes the last few weeks of winter more enjoyable! And now that you’ve had a chance to read our spring 2016 fashion forecast, you’ll have a head start on what to wear when the climate heats up. So, whether it’s lace or fringe that you choose, remember to include your own spin on these trends by making them wearable and practical for you. Love all these pieces, just wish it was warm enough to wear the lace shorts - will have to wait until summer!